Tang Center (E51 Building), Third floor, MIT Cambridge Campus, Massachusetts, U.S.
FOR DETAILED INFORMATION ABOUT EACH SESSION, EXTENDED ABSTRACT AND ROOMS, PLEASE SEE THE FILE BELOW. We have reached our maximum number of available seats! Therefore, we are not able to allow additional registrations. To take advantage of the early registration fee please pay US $220 prior to March 7th, 2018. Registrations after March 7th will be charged $275. Students may attend for $55 but must register prior to March 7th, 2018 to have access to this fee. Any student registrations received after March 7th will be charged at the full conference rate. Extended abstract submissions due November 20th, 2017 December 19th, 2017. Download PDF Copy of Call For Papers with Complete Instructions. We invite extended abstract submissions for the 2018 SCALE Latin America Conference, hosted by the MIT Center for Transportation & Logistics in Cambridge, MA on April 15-16, 2018. To increase visibility of logistics and supply chain management research and education in Latin America, authors are encouraged to submit extended abstracts (in English, 4– 6 pages) according to the Conference template. Accepted abstracts will be presented in parallel sessions and be part of the Conference proceedings. Authors could later submit a full paper version (in English), as the scientific committee will discuss with recognized, indexed journals to organize special refereed issues on Logistics and SCM in Latin America. English is the official language of the Conference, thus all papers and presentations must be done in this language. Extended abstracts must be written in English and submitted by November 20th, 2017 December 19th, 2017 using EasyChair as the submission platform. Detailed instructions available in the PDF version of the Call for Extended Abstracts. Student competition submissions due November 20th, 2017 December 19th, 2017. Download PDF Copy of the student competition with Complete Instructions. We also invite extended abstract submissions to be considered for the Student Competition of the 2018 SCALE Latin America Conference, hosted by the MIT Center for Transportation & Logistics in Cambridge, MA on April 15-16, 2018. Latin America faces complex socioeconomic challenges due to growing urbanization, volatile economic and political conditions. This paper competition seeks to inspire students propose solutions through a strong focus on logistics, supply chain, operations management and research in the region. Students can submit their works in any of the aforementioned topics. Students must submit their extended abstract before November 20th, 2017 December 19th, 2017 following same guidelines as other extended abstracts using EasyChair and they will be evaluated using similar criteria (see Call for extended abstracts section). During the conference, selected student authors will have 15-20 minutes to present their papers plus 5 minutes for questions and answers. Winners will be announced during the final plenary session of the conference. 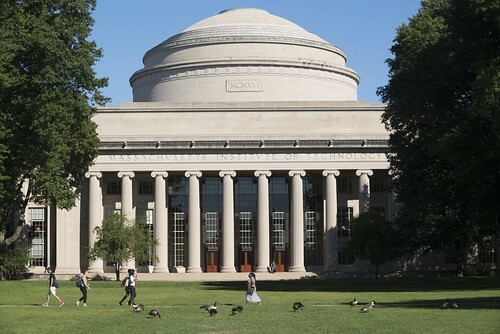 The best paper from a student currently enrolled in a graduate program will receive the MIT Global SCALE Network Latin American Conference Graduate scholarship for the MIT GCLOG Program. The scholarship is composed of 50% and 25% tuition waivers to students in the winning team. Participation in the GCLOG Program is subject to meeting requirements of eligibility and admission. In addition to the graduate student competition the best undergraduate students will compete for the MIT Global SCALE Network Latin American Conference Undergraduate Student scholarship composed of a 50% tuition waiver to the UCLOG Program. Participation in the UCLOG Program is subject to meeting requirements of eligibility and admission. Student authors must have been born or be living in Latin America and must be enrolled in an accredited graduate (doctoral or master level) or undergraduate program. Despite the difference on levels, referees will evaluate scope, rigor, quality of the research, impact and writing depending on each education level. Detailed instructions available in the PDF version of the Student Competition Call for Papers. Dr. Josué C. Velázquez Martínez (josuevm@mit.edu), MIT Center for Transportation and Logistics, U.S.
Dr. Christopher Mejía-Argueta (cmejia@mit.edu), MIT Center for Transportation and Logistics, U.S.
Additional steps regarding special issue will follow journal’s revision standards. Speakers will have access to projector, clicker and a fixed computer in the corresponding rooms. Speakers will have at most 15 minutes to present their work with a Q&A session at the end of each group of speakers. Oral presentations will be only allowed in English. The usage of the Conference presentation template is strongly recommended.